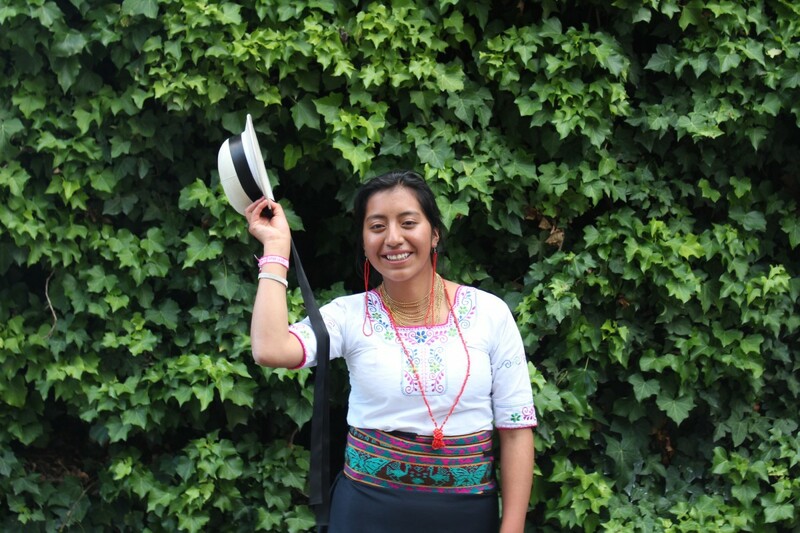 Érika from Ecuador is eighteen years old and has recently graduated from school with flying colours. She wants to become a cardiologist or a neurosurgeon and has applied for scholarships at top universities. However, Érika’s story could have been very different. Four years ago, she had to leave her studies behind so she could help her parents work in the fields or become a housemaid. “My parents could not afford the education expenses anymore,” says Érika. Plan International became aware of her case and awarded her a scholarship. With the financial support, Érika was able to buy school supplies, uniforms and pay for transport. Érika received a scholarship so that she could continue her education. The 18 year old indigenous girl overcame all obstacles to become one of the best students in her school. On many days, Érika stayed awake until the early hours to complete her homework and sometimes only slept for an hour before getting up at 5am to help her mother make breakfast or take the animals outside. Committed to supporting her community, Érika is a volunteer and a leader in her community. She participated in Plan International’s projects which aimed to fight against teenage pregnancy and violence, and learnt some entrepreneurship skills. Érika is optimistic about the result of the scholarship applications. “I have to achieve my goal,” she says determinedly.